Here we have these fantastic wedding place cards. These are made by UK Card Crafts so you know they are good quality. 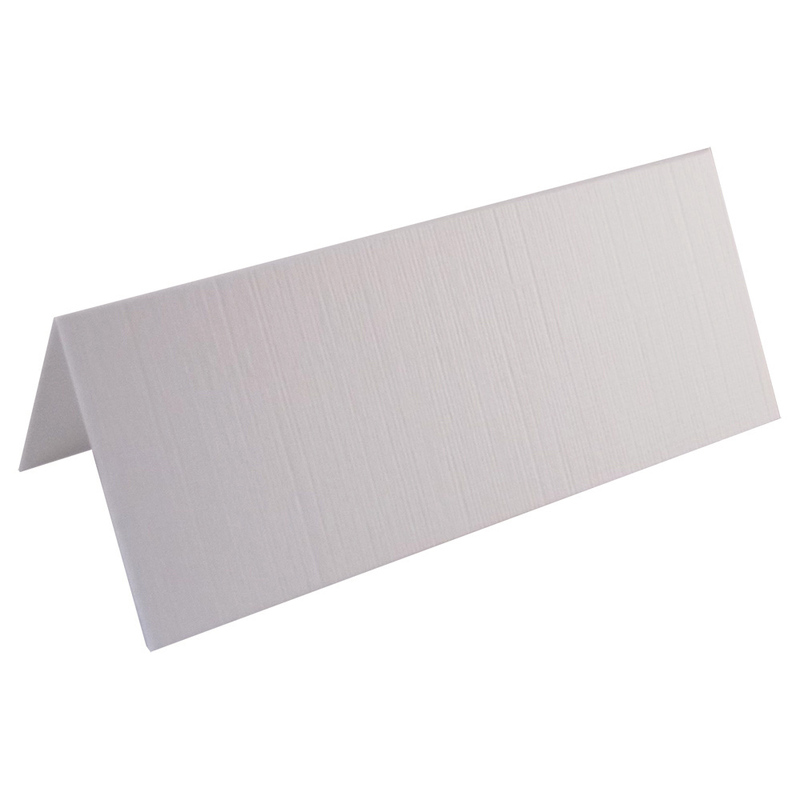 Made from 260gsm linen white card, You can stamp or write on these. They are supplied flat ready to stamp or for you to write on and have a crease in the middle for easy folding. You will receive 100 place cards which are ideal for weddings and any other parties. If you're interested in ordering a large trade quantity of this item (100 X Linen White Place Cards For Weddings & Parties) then email us and we will send you a quote. Please note that this is not possible on some items. Please include the quantity and item(s) in your email. All quotes are sent via email. You can use the "contact us" form on this website for quotes.